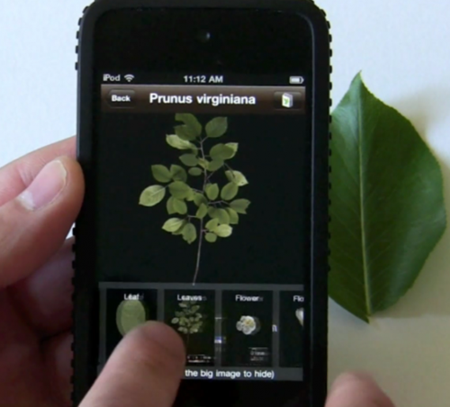 Leafsnap is a free iphone application that identifies plant species from photographs of the leaves. Leafsnap is the first in a series of electronic field guides being developed by researchers from Columbia University, the University of Maryland, and the Smithsonian Institution. This website shows the tree species included in Leafsnap, the collections of its users, and the team of research volunteers working to produce it.